Can you really be certain that there are no toxic problems lurking within your portfolio? Those who operate on a “business as usual” basis, assuming their loan qualification processes meet industry and legal standards and are being assiduously followed by their staffs, are in danger of being fiscally savaged by a buyer pushing back on them an overwhelming number of loans because of significant, trivial, or even irrelevant violations. Those fearful enough of such a catastrophic possibility that they refuse to participate in the selling of mortgage loans are in danger of unnecessarily surrendering the considerable economic advantages the secondary market offers. 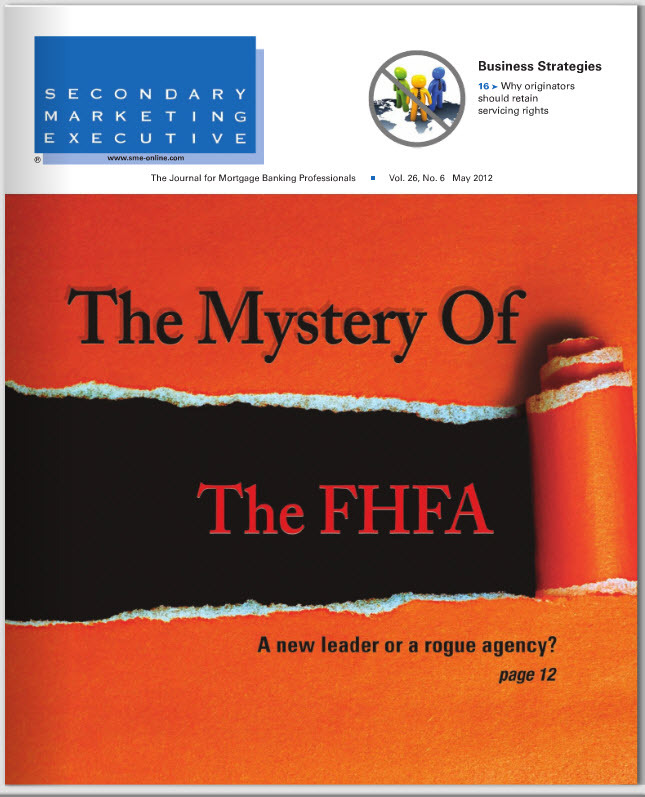 There is, however, a third strategy that mitigates the dangers of selling mortgage loans, protecting sellers from being ambushed with repurchase demands months or years after the completion of a transaction and allowing even cautious managers to both reap the rewards of the secondary market and sleep soundly at night:. Pre-sale audits can identify and eliminate hidden flaws in the methodology of an institution’s mortgage processes and its execution of those processes to prevent those imperfections from becoming time bombs in ones portfolio. Auditing your portfolio prior to selling the loans not only protects you but also provides purchasers evidence of the quality of your product. Moreover, those potential buyers most likely to garner assurance from the knowledge that you care enough about the quality of your loans to invest in an independent, third-party review are likely to be your most desirable customers – i.e., those searching for mortgages that have been produced by careful guidelines and thus have reliable and calculable outcomes. Such buyers may, in fact, consider mortgages constructed under these conditions to be a premium product worth a premium price. On the other hand, a potentially antagonistic purchaser, i.e., one looking for groups of loans produced with less care in hopes that consequent process errors could ultimately be used to justify repurchase requests for any loans that might default (whether the process errors are pertinent or not), is unlikely to view a pre-sale audit as a positive sales point. I would hold that the decreased attractiveness of audited mortgage loans and any subsequent loss of sales to this category of client is a major benefit of performing such audits. A pre-sale audit informs you whether the proper loan origination policies and procedures have been followed, as well as whether guideline and credit parameters have been met. As a consequence of the pre-sale audit and the resulting corrective actions, you know that the documentation of your delivery package will be correct, and, should questions later arise about an individual loan, you will already have the necessary answers. Every loan undergoes the first three categories of review: Documentation, Regulatory Compliance, and Guideline Adherence. Borrower Forensics and Appraisal Review are completed on a random sample of the files with the sample size calculated by taking into account various parameters, such as number of loans in the portfolio, credit grade of the pool, seasoning of the files, number of files current and number delinquent, … . If government loans are included, MIC and Guaranty Status are also relevant. Documentation: The audit assures all requisite documentation is in the file. Missing documentation is a major source of repurchase demands that can be easily avoided. Your audit firm should provide a Documentation Checklist that indicates not only if the documents are present but whether the documents were accurately completed and if all necessary signatures were obtained. Searching for trailing documents months or years after loans have closed and the sale is complete is not only time-consuming and expensive but demoralizing as well. Nor is there any guarantee that such belated rectification efforts will be successful. Deficiencies identified at this point are more economically and efficiently correctible than several months after the sale. And do yourself a favor: formally request that HMDA information be double-checked. Again, it is far less onerous to correct an error at this point in the process – and far less expensive than buying back a loan. A pre-sale audit can prevent that innocent typo in a date on a Notice of Right to Cancel from coming back to bite you two years down the line. Guideline Adherence: It is essential to provide the appropriate origination guidelines and your policies for approving exceptions to guidelines to your audit firm. Exceptions to guidelines are a red flag; the ability to demonstrate that any exceptions were accurately documented and approved is key. By the same token, if a deficiency is found, any needed approval signatures and supporting documentation can be obtained and added to the file. Borrower Forensics: My personal experience in the field have convinced me that a sampling of borrowers, based upon originating office, the specific loan officer, or some other criterion, should have their employment status, income figures, and other critical data re-verified. . The key point is conducting your own forensic review BEFORE one is mandated. By employing fraud detection techniques ahead of the loan sale, you once again provide an extra layer of comfort for the prospective buyer of the loan pool. And, as a seller you will have the information required to calculate a price and determine if specific loans should be pulled from the pool. Appraisal Review: A sample of appraisals should be checked as well. Have the validity of the appraiser’s license confirmed, especially if you have originations in states that have a history of problems with the quality of appraisals. This is not a job for amateurs. Ask your audit firm if they have an appraisal review specialist on their staff and, if so, how much experience he or she has. Have some appraisals reviewed on a “challenge” basis, looking for questionable valuation conclusions. Make sure that the appraiser has correctly identified the market trends for the specific area, and verify that the sales used as comparables were in fact good comps. Again, applying this forensic approach in advance of the sale and before problems declare themselves is far more cost-effective than attempting to do so under the pressure of a repurchase demand. The pre-sale audit will not only benefit you at the time of the pending loan sale, but the audit results will give you information to enable you to fine-tune your processes going forward. Identifying deficiencies now will give you an opportunity to take remedial action before the sale, or time to identify compensating factors that you can provide to minimize the impact of the problem to the buyer. In the worst case, you will learn ahead of time that you have a loan that has to be pulled from the pool and shelved until seasoning compensates for the problem or you have a buyer willing to take on loans with such issues. Once again, correcting errors at this point is more effective, economical, and efficient than doing so when questions or legal issues arise later. The audit also identifies recurring problems, providing you with the opportunity to revise your training programs and methods and bring your Policy and Procedures manual up-to-date if necessary. Depending upon the criteria used to select loans for review, the audit results could also be used to assist in performance evaluations. The primary benefit, in fact, of the pre-sale is as one integrated component of Quality Assurance. You, your employees, and your buyers have concrete evidence that you reliably generate a high quality product. Not only will that improve the prices of that product, but it will also enhance the relationship with your most favored buyers, and bring increased sales opportunities. BPO: In addition to the Appraisal Review, a BPO should be obtained on all files to verify current values. The market has changed throughout the country, areas and buyers need to be alert to potential problems that could arise in the future if a loan defaults and becomes subject to foreclosure. The value of the property is crucial to the funds that can be recouped by its sale if it becomes an REO. Corrective Analysis: Buyers not only need to know if a compliance issue exists but also if correction is possible, the means by which a correction would take place, the time and money required for that correction. Only with this information can a buyer render an informed decision on the pricing and ultimate purchase of a file. Service History Review: When considering the purchase of a seasoned portfolio or pool, a review of the servicing history is essential. This goes beyond the current loan status and reflects the payment history over the life of the loan. Comprehensive Guideline Review: Buyers should ensure that guidelines presented cover all timeframes of the lending process of the loans in the pool and that the policies governing exceptions to those guidelines are fully documented. An audit done prior to purchase informs the buyer about the nature of the product independent of the seller’s potentially skewed description and enables the buyer to determine a price that takes into account the risk being assumed. Whether you are the buyer or seller of mortgage loans, the pre-sale audit is a necessary element of a strategically sound transaction that maximizes profit, manages risk, and enhances the efficiencies of not only those directly involved in the sale and the mortgage market as a whole. The checklist below covers many of the points raised in this article and can serve as a starting point for those considering a pre-sale audit.